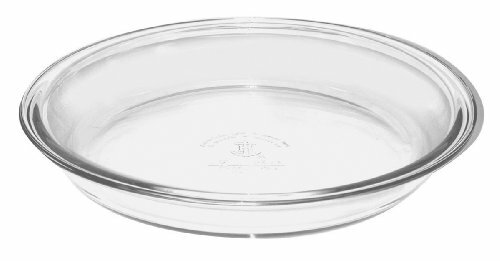 Clear, Glass Pie Dish from Anchor Hocking makes a 9" diameter pie. Constructed of clear, durable, heat-resistant glass which is microwave, oven and dishwasher safe. Measures 10" diameter x 1.5" deep. Anchor Hocking-made in the USA.